Tomi Lahren , Patron Saint and Queen of the alt-right snowflakes. Since the election of Donald Trump , a new trend has become popular. It’s a term to describe anyone who takes offense easily , or gets triggered by anything they dislike. 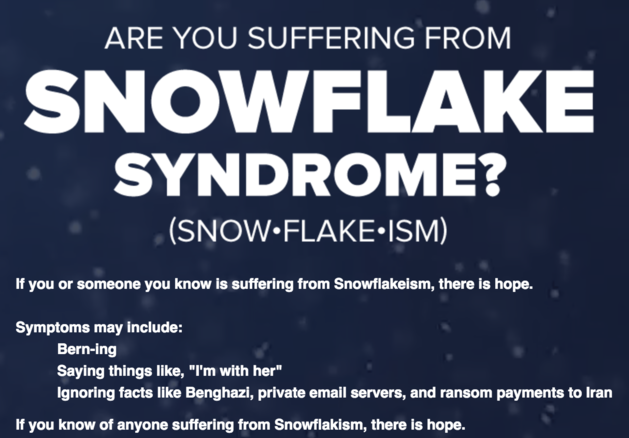 The term is snowflake. During Trump’s campaign , his followers used it to insult anyone who disagreed with them , or with Trump himself. Tomi Lahren , the Patron Saint Of Snowflakes used it almost incessantly to insult liberals for everything they said and did , and by doing so , she proved herself to be the biggest snowflake of them all. 1) You believe Donald Trump is a victim of the liberal news media. Criticism equals victim hood to many Trump supporters. 2) You believe white people are victims of racism. Seriously , if you do , you’re a special kind of snowflake. 3) You believe Black Lives Matter is a racist , anti-white hate group. If you seriously believe this , seek mental therapy. 4) You believe the phrase Happy Holidays is a liberal assault on Christmas. Again , if you honestly believes this , seek psychiatric help. 5) You believe global warming is a liberal hoax , despite tons of scientific evidence. Read the scientific data. 6) You believe Barack Obama is an anti-white racist for criticizing a white police officer. 7) You believe Conservatives are noble truth tellers , and liberals just lie all the time. 8) You believe Ted Nugent is a sane , intelligent human being who makes sense. 9) You believe Tomi Lahren tells it like it is. 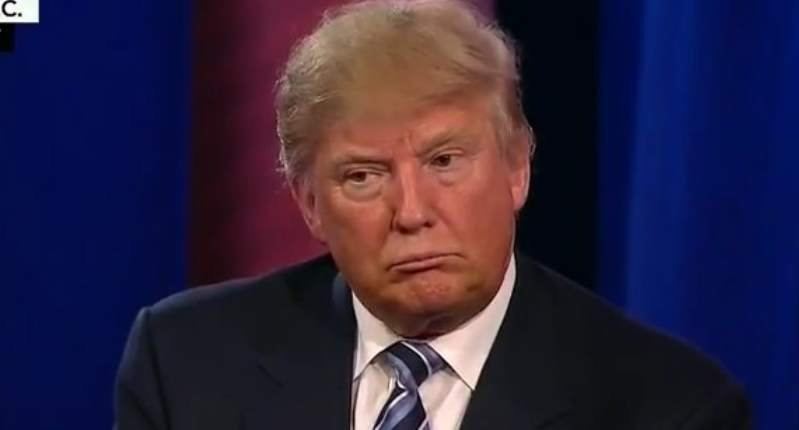 10) You believe Donald Trump is a victim of liberal bullying. If you answered yes to any of these , you are definitely an alt-right , triggered , whiny , attention-seeking , crybaby snowflake like Tomi Lahren and definitely need a safe space.